I’m a self confessed makeup junkie and I’m always looking for my next hit so when I saw some NYX lipliners on sale for 50% you know I had to get some! I’ve never been big on lipliners but I’m starting to see their worth so I bought 12 of the colours I thought I’d get some use out of. I love these lipliners! I’ve never really understood the point of spending alot of money on lipliners so it works out well that these are cheap and work really well. Like most lip liners these are a bit drying when used all over the lip but a tiny bit of balm under these makes them comfortable. Just don’t put on too much balm or they slip and slide all over the place. 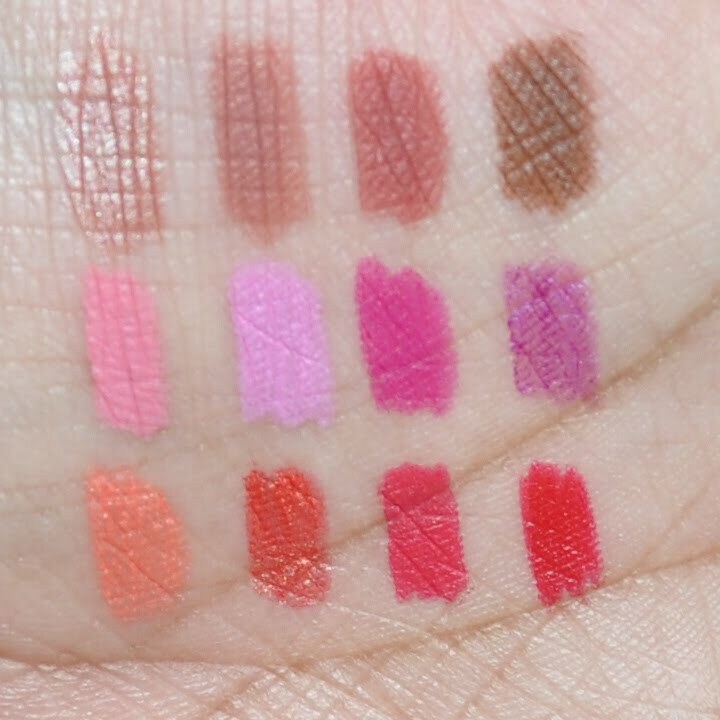 I love the fact that NYX has such a wide variety of colours and so many varying tones of the same colour so you can find the exact red or pink or natural colour you’re looking for. My favourite colour out of the bunch has to be Purple Rain because I’m on a big purple kick at the moment. It has the perfect mix of purple and pink in it and it looks great with MAC Style Curve lipstick. I also managed to find a really good ‘my lips but better’ shade in the colour Ever. Every girl needs a ‘My lips but better’ lipliner, lipgloss and lipstick and now my trinity is complete! My lips have more pink than brown through them and this lipliner picks that colour up really well. 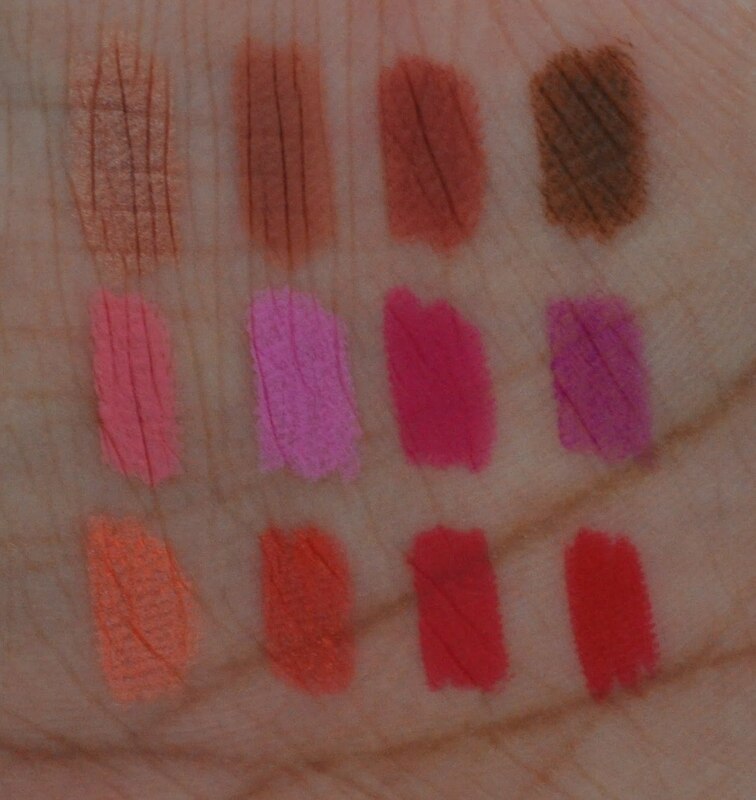 Here are some lip swatches. 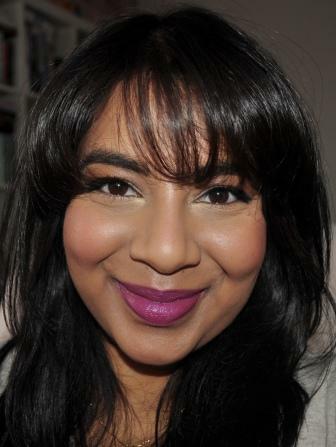 My lips are quite pigmented but they also have a lot of colour variation through them and my top lip is slightly darker than my bottom lip which is common for women of colour. You can see how dry the pencil is but I hadn’t put any balm on. The colour is really good though and it evens out any discolouration on my lips. I added a slick of clear gloss on top to show how you can easily wear a lip liner out without having to put on lipstick as well. I’ve been too lazy to mess around with lipstick during this hot Aussie summer so I’ve been using a lot of my lipliners in this way. You get the colour without the effort of wearing a lipstick. 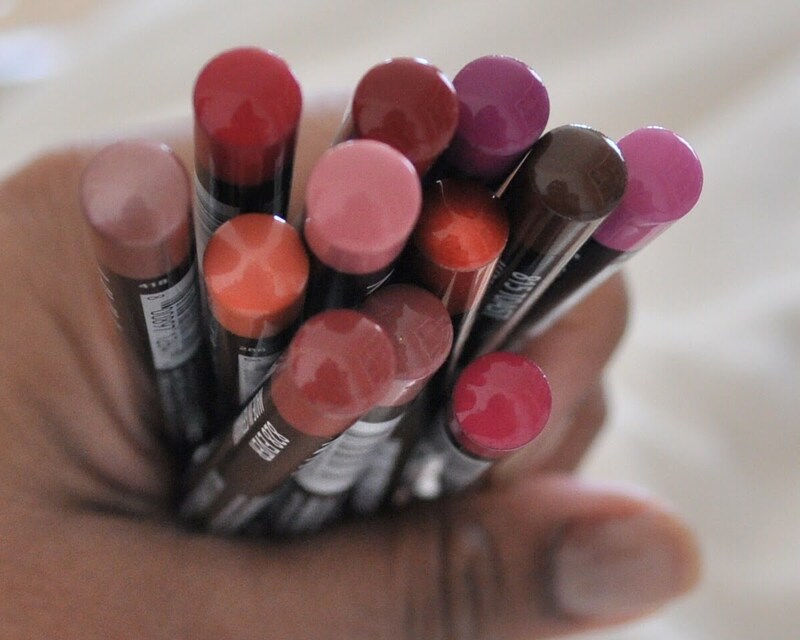 So what do you guys think of the NYX lip pencils? Are you liking any of these shades or do you have some that are must have’s that I’ve missed? Let me know! 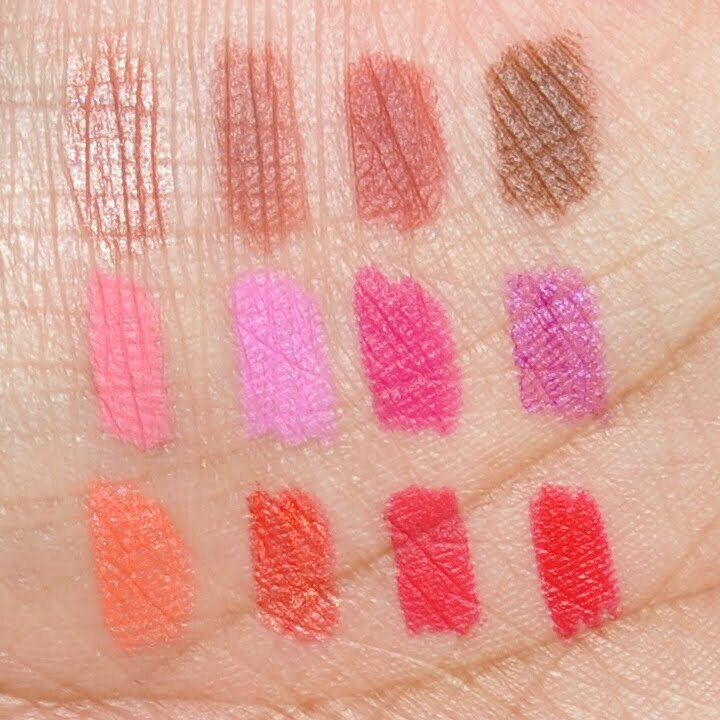 And for any Aussies that are reading, NYX is available at random stores but you can always buy them online from http://www.crushcosmetics.com.au/. The selection isn’t as big as what you can get from the US but it’s pretty decent. Otherwise you can try out http://www.cherryculture.com/ which is a US retailer. Happy shopping! Just discovered you blog- it's fabulous! 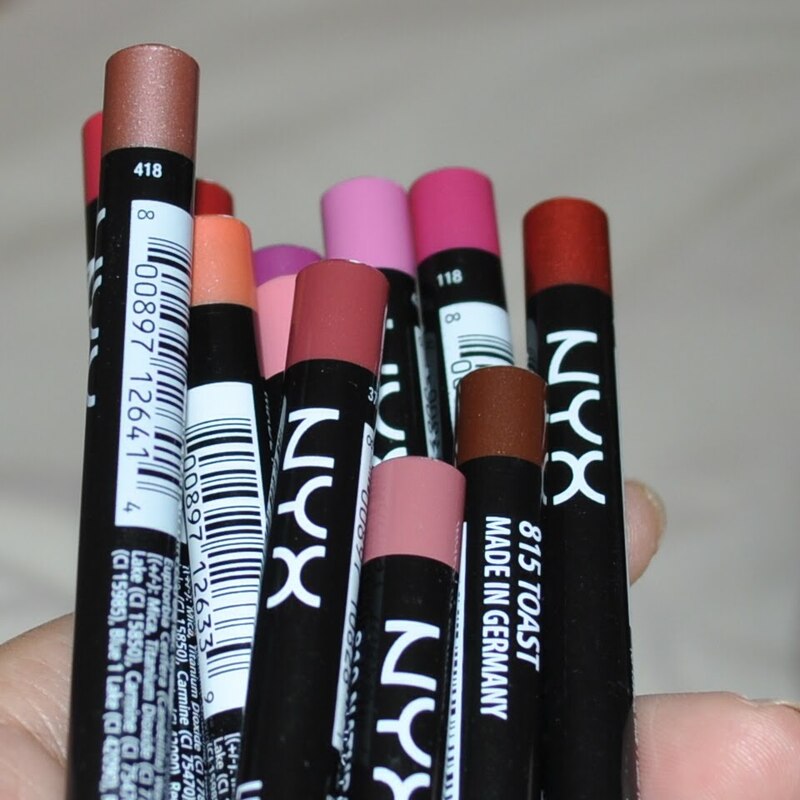 Love the great swatches and EOTDs :)I really need to try NYX, esp those pencils that you've swatched, and some of the jumbo eye pencils too. i have the same problem with my top lip! It sometimes bugs me, but usually I'm just like 'meh, I can't change it so whatever!' heheI have that hot pink one! I wear it as a base under my Girl About Town, even though they aren't really the same color! I ❤ Nyx. So cheap and they don't test on animals if I'm not mistaken! Prettyinthedesert: I know it's one of those things that if you choose to focus on it then it can annoy you but it doesn't bother me most of the time. :)I love using the hot pink one with Girl About Town too! I think they're a pretty close colour match and even if they aren't exactly the same it doesn't matter, they still look good together!Lol I think NYX is a makeup addicts best friend because you have the choice to go cheap if you want and not compromise quality.